One of the most popular and profound inspirational writers of all time explores the mysteries of life. Here is bite-sized wisdom for daily living in a beautiful gift package. 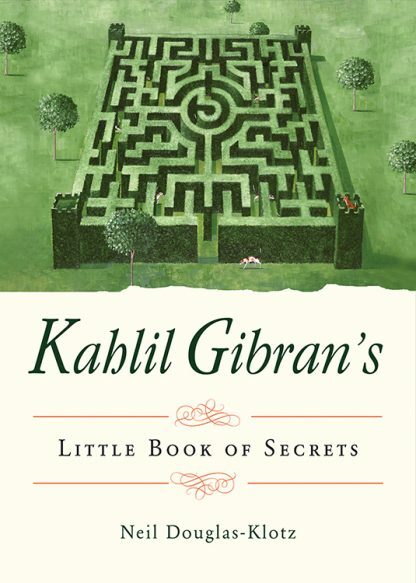 This book is a collection of Gibran�s words on life�s big questions and the mysteries of the spiritual path. It is an exploration of the riddles and conundrums that are part of the fabric of existence, and it is an attempt to penetrate and explain the mysteries of life. Gibran was fascinated by life�s puzzles and riddles�those questions that cause us to stop what we are doing and ask, �Why?� Here are his musings about the seemingly unanswerable questions and his exploration of good and evil, love and hate, and the difference between appearances and reality. This inspirational gift volume gently guides readers through life�s big issues: meaning and mortality, good and evil, and discovering an authentic spiritual path. Suitable for all gift-giving occasions, it is a book that delights, informs, and inspires. Kahlil Gibran (January 6, 1883�April 10, 1931) was a Lebanese-American artist, poet, and writer of the New York Pen League. He is chiefly known in the English-speaking world for his 1923 book The Prophet, an early example of inspirational fiction that includes a series of philosophical essays written in poetic English prose. The book sold well despite a cool critical reception, gaining popularity in the 1930s and again in the 1960s. Gibran is the third bestselling poet of all time, behind Shakespeare and Lao Tzu. Neil Douglas-Klotz, PhD, (Saadi Shakur Chishti) is a world-renowned scholar of religious studies, spirituality, and psychology. Living in Scotland, he directs the Edinburgh Institute for Advanced Learning and for many years was cochair of the Mysticism Group of the American Academy of Religion. He is also the cofounder of the International Network of the Dances of Universal Peace.